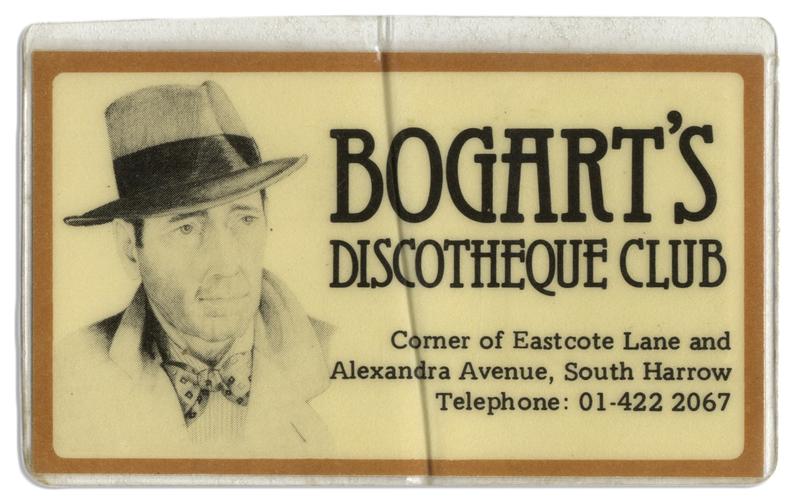 George Michael signed membership card to ''Bogart's Discotheque'', one of the London night clubs frequented by Michaels before he catapulted to fame with Wham! Card features a photo of the 17-year Michaels, with his signature ''G. Panos'' (shortened from ''Panayiotou'' by his father), his name before he changed it to Michaels. His name is also signed in block letters, along with his handwritten birthdate of 25 June 1963. 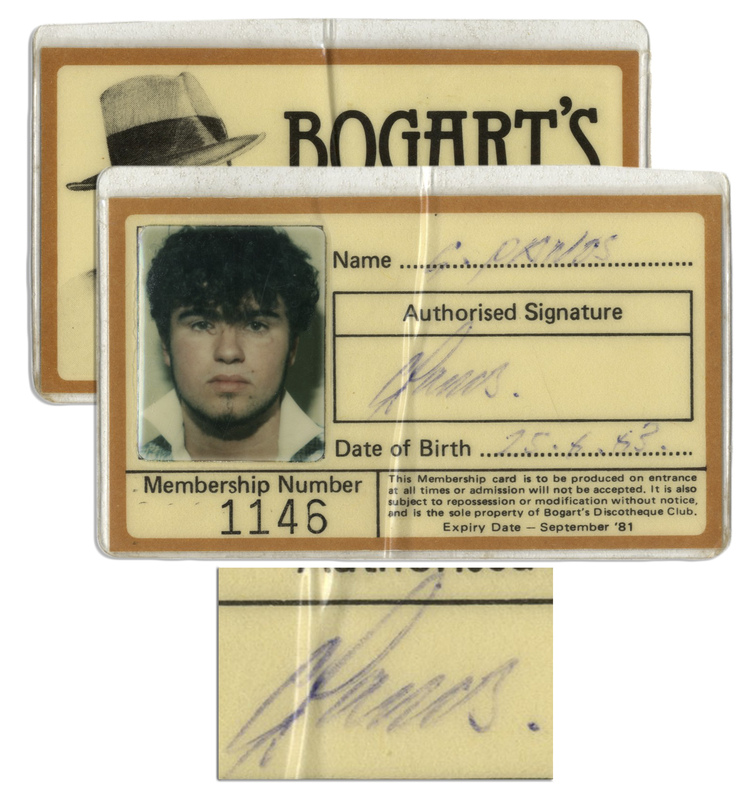 The card's expiration date is September 1981, the same year Michaels formed Wham! with Andrew Ridgeley. Laminated card measures 3.25'' x 2''. Bend to center, otherwise near fine condition. 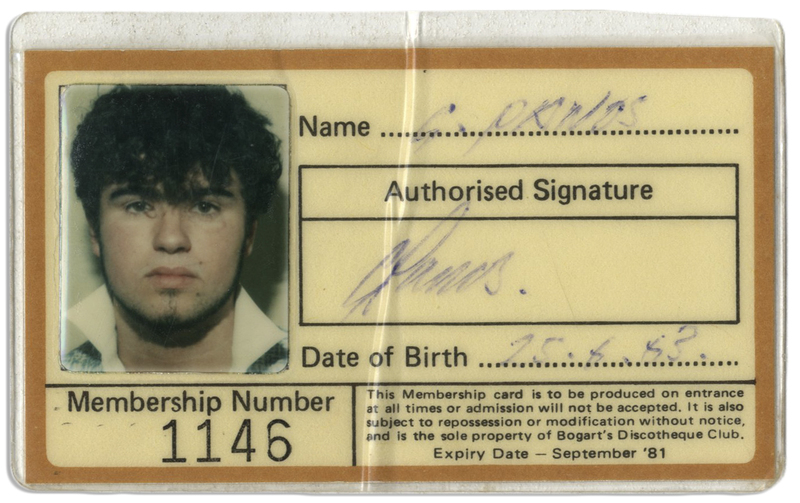 A fantastic George Michael memento, carried with him during his early club years.